Jump back into the 90s with Skream's remix of Aaliyah's "If Your Girl Only Knew". Oliver Dean Jones (Skream) renames the soulful track "Keepin'" for his rendition, and the only part of the original that he borrows are the vocals. He substitutes the aging Timbaland beat for a modern house pulsing synth that is reminiscent of the direction fellow UK DJs Disclosure and T. Williams are heading — listen below. 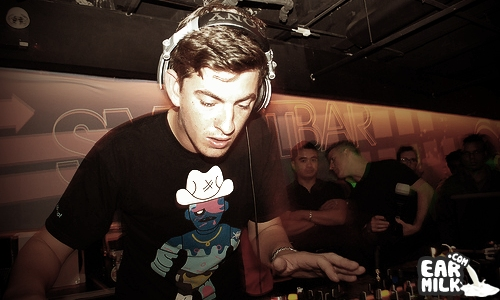 While Skream didn't create dubstep, he did push the genre in the melodic direction, with notorious hits like "Midnight Request Line" and his entire first album Skream!. Believe it or not, that album came out seven years ago, a time when dubstep was dominated by UK garage. Fast forward to today and you are faced with a flooded market of electronic and pop artists alike building off many of the same core melodic elements explored by Jones early on.